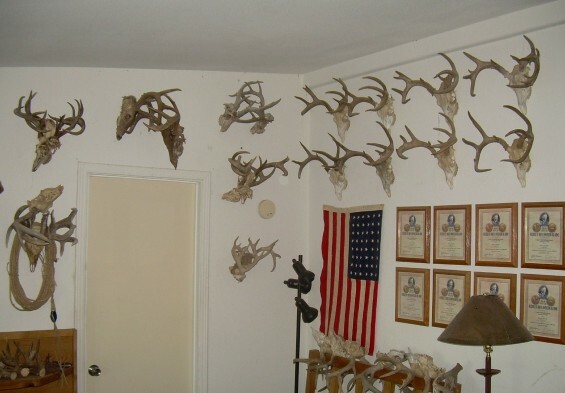 Jim Reynolds has one of the world’s greatest collections of Coues Deer. Within that collection he has 7 sets of bucks that are locked up and died because they couldn’t get separated. The locked set under my favorite coyote is my best. The one buck is a 3ptr that grosses a little over 120 inches. The other one is a 3ptr with a droptine that grosses 117 inches. I have a shed antler off of each deer from the year before. 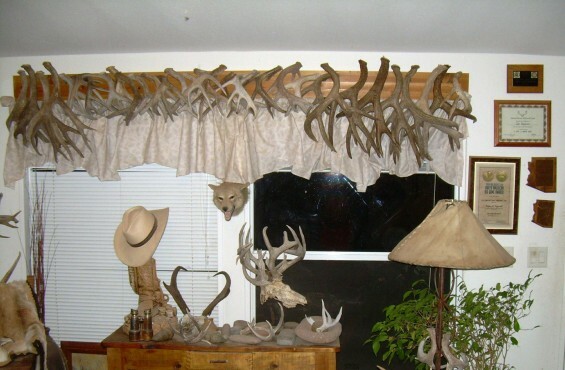 Two of the other sets have both deer grossing over 110 inches. 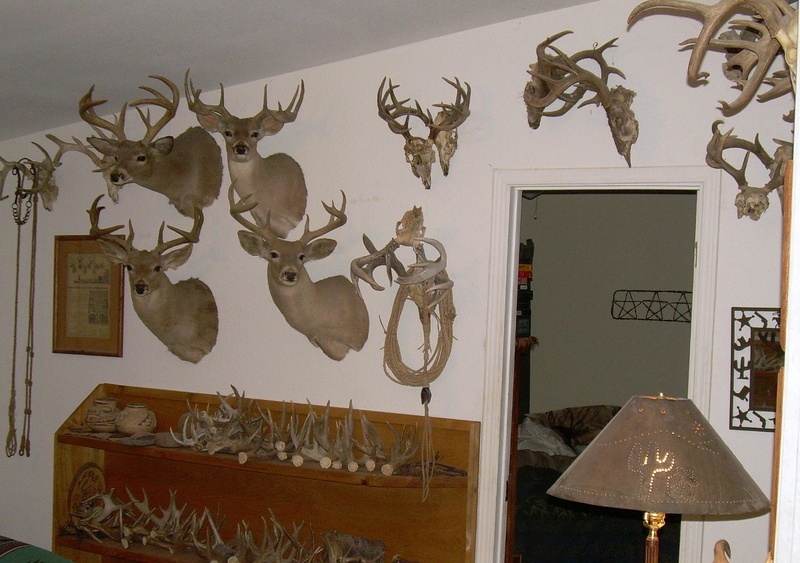 The rest are all 80-95 inch deer.